Filing for Divorce? We Can Help. Some marriages may end, but your life doesn't have to. Put our proven litigation and negotiation abilities to work for your business legal affairs. Our founding lawyer is on standby to discuss your case. When you are faced with complex family matters requiring legal action, or high-conflict business disputes, it can take a toll on you financially, emotionally, and even physically. Filing for divorce or experiencing all-time high family tensions can especially come with its fair share of challenges and difficulties. If you are dealing with similar matters as we speak, obtaining a seasoned and skilled divorce attorney in Louisville could accelerate the resolution process of your case, resulting in you being able to move on with your life more quickly. The Law Office of Todd K. Bolus, PLLC has over 30 years of experience to offer in the areas of divorce and business law. Serving families and businesses throughout the Louisville area, we work diligently to protect the best interests of our clients when they entrust their divorce, legal separation, property division, alimony, post-decree modification, child custody, high asset divorce, and business dispute cases to us. 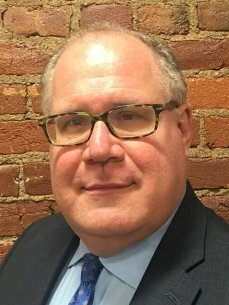 With more than 30 years of professional legal experience, and a consistent client satisfaction track record, Attorney Todd K. Bolus is ready and prepared to focus on your legal matters so that you can get back to focusing on what's most important to you—whether it be your family or your business. Above all else, protecting your future and best interests are our firm's highest priorities. Our divorce attorney knows and has what it takes to find prompt and favorable case resolutions to complex divorce matters and business disputes. With our approach, we have moved mountains on behalf of past clients looking to move forward. Let us help your family move forward. Contact our Louisville divorce lawyer to schedule your case evaluation. We Are Here to Help You Get Through This.